This is the time of year when I’m ready to go all out for entertaining. 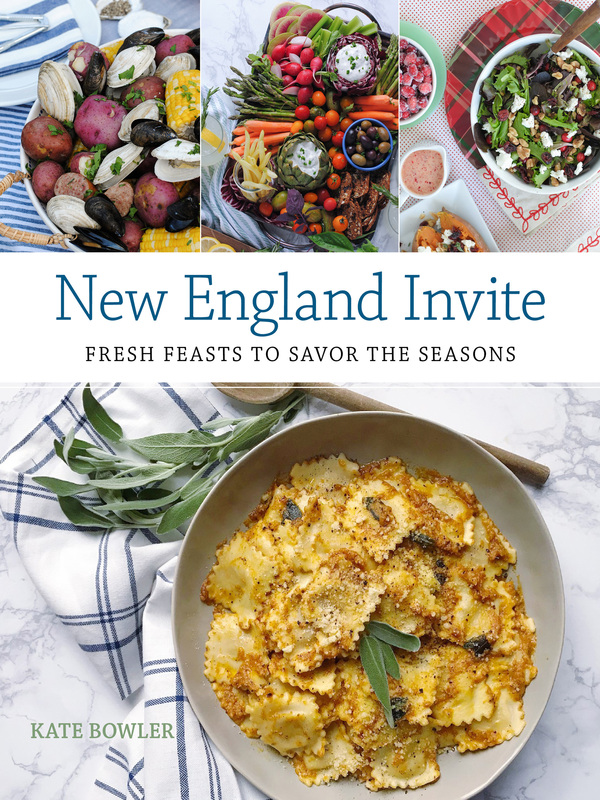 I love big feasts, over the top appetizer displays, and decadent desserts. 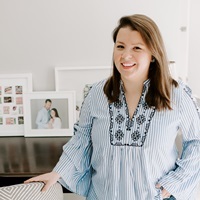 I especially love adding some dishes and treats to my party plan that feel special and highlight holiday traditions. 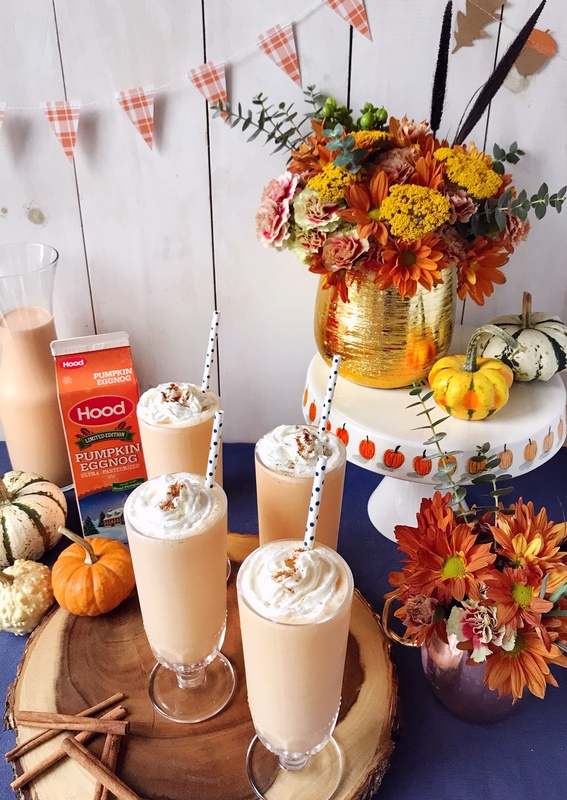 That’s where the idea for this festive dessert came from – a Pumpkin Eggnog Milkshake that puts a playful spin on a favorite holiday tradition. 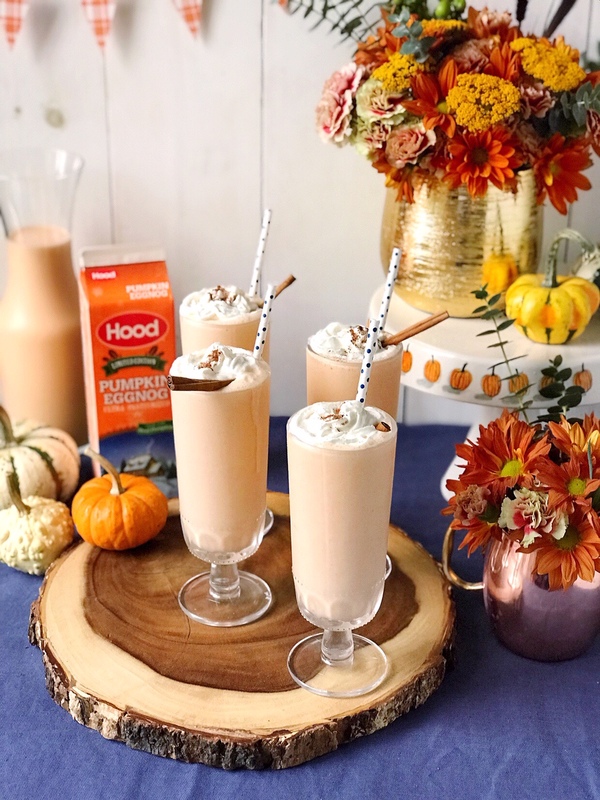 The first time I tried Hood® Eggnog, I actually thought that the creamy milk and sugared yolks and spices in the drink almost tasted a bit like all of my favorite elements of a milkshake! When I saw the limited edition Pumpkin Eggnog flavor, I thought it would be fun idea to actually turn it into one. 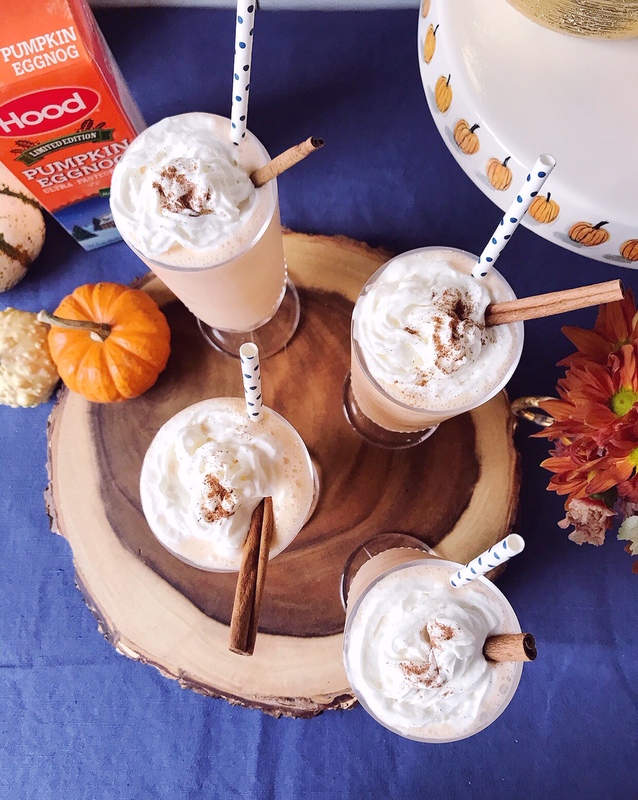 Making the Pumpkin Eggnog Milkshakes is as easy as pouring a few ingredients into a blender (like pumpkin eggnog, vanilla ice cream, and some caramel sauce swirls) and giving it a quick blend before serving. In just about a minute or two you can have a tray of made-to-order milkshakes to share as a fun dessert treat with your holiday guests. 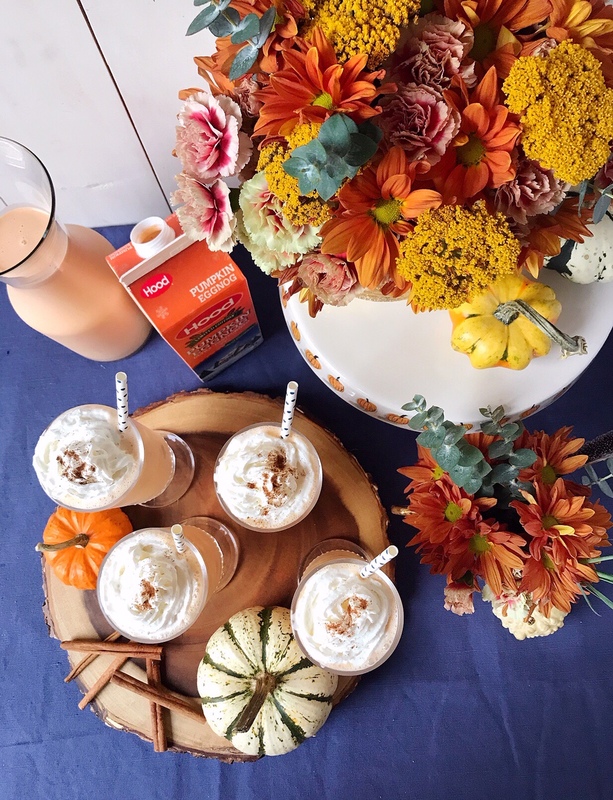 To make them look even more festive, I topped each glass with a generous dollop of whipped cream and sprinkled a bit of cinnamon on top to bring out the aromatic pumpkin spices in the eggnog. They tasted so delicious and look so very festive presented in fancy glassware on a rustic looking tray with some party straws. 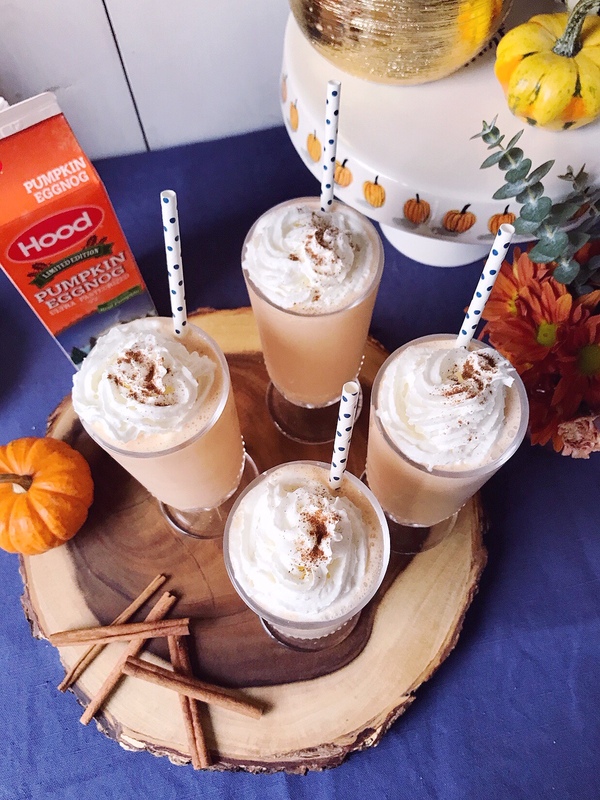 I also poured an extra pitcher of the Hood® Pumpkin Eggnog for guests who just wanted to have a taste of the traditional drink too! That first sip really makes it feel like the holidays. Get the full recipe for the milkshake below. 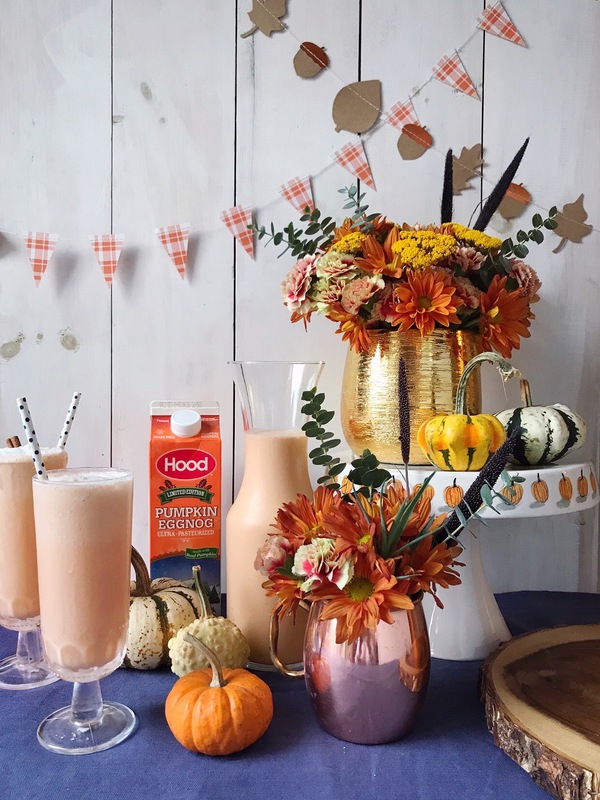 Combine Hood® Pumpkin Eggnog with vanilla ice cream and caramel sauce in a blender. Pulse to combine until smooth. Pour milkshake into 5-6 serving glasses and top with whipped cream and a sprinkle of fresh cinnamon. Serve immediately. 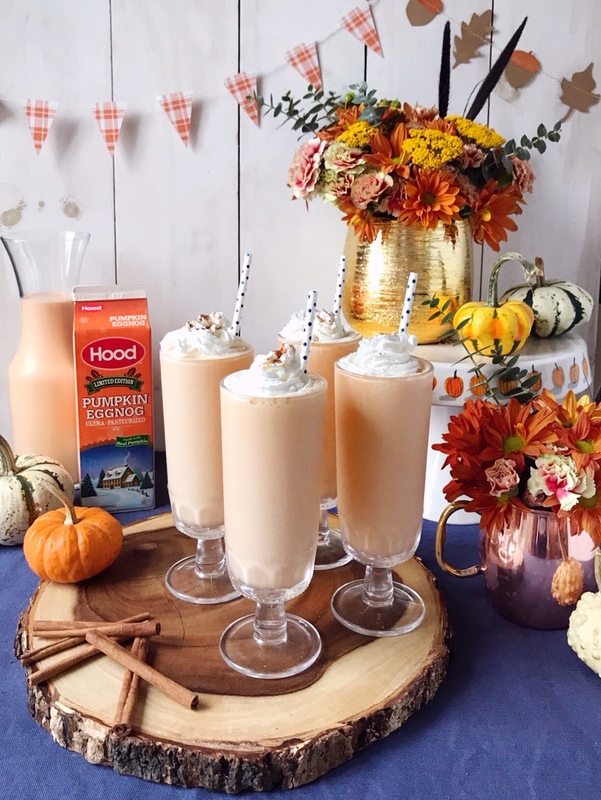 For more information about the flavors and for recipes using Hood Eggnog, visit Hood.com, or find Hood on Facebook or Instagram. And remember, Hood Eggnog is only available for a limited time, so grab some at your local grocery store while you still can! Baked Brie Pie Bites. The Ultimate Thanksgiving Recipe Round Up.